Lewis Hamilton is cautiously optimistic over how his new Mercedes car performed at Formula One’s opening test in Barcelona. 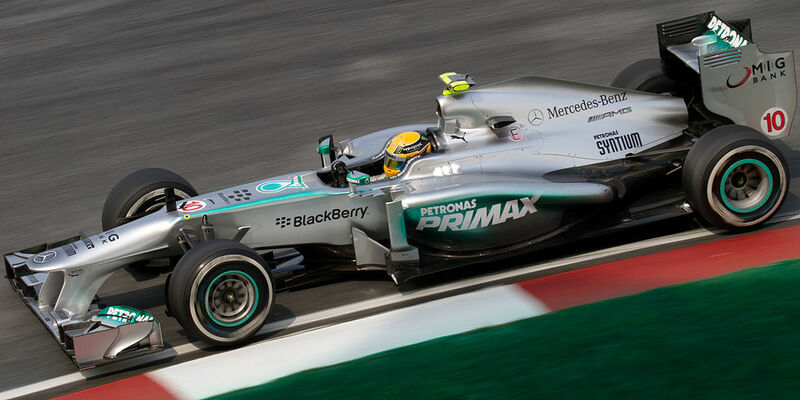 He completed 69 laps and managed to set the fastest time of the week (1:19.333). The four-times world champion spent the first three days indoors due to the snow which prompted Hamilton to complain about the track, calling it a “waste of money”. “Ultimately this week there was questions of whether or not we should be in Bahrain, where firstly the weather is always good and you can test all day long, so you can get a lot of testing done because the sun goes into the evening. On Thursday Hamilton managed to get a feel for how his new ride, the WO9, was performing as the track reached over 25C. Sebastien Vettel capitalised on the improved conditions by completing 120 laps. He was the third fastest racer – nine-tenths behind Hamilton. Vettel was enthusiastic to insist his rivals had the early advantage.